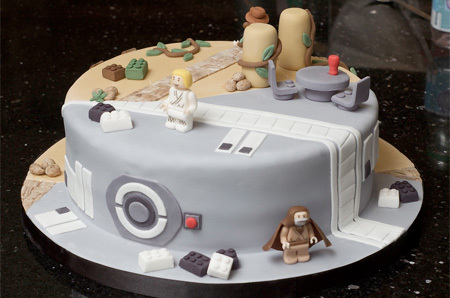 This post showcases creative birthday cakes and unusual cake designs. 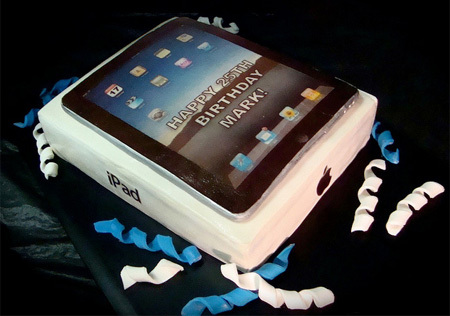 Cool Apple iPad shaped birthday cake created by Debbie Goard. Birthday cake inspired by popular video game Plants vs. Zombies. 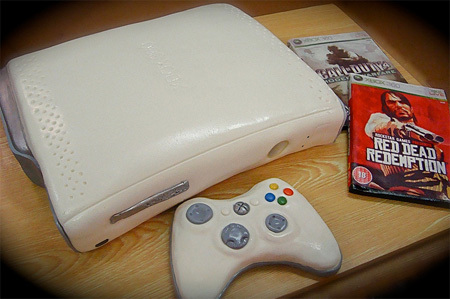 Unique video game console shaped cake made by Debbie Goard. 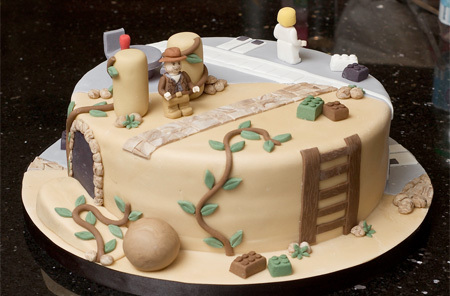 Round cake inspired by LEGO Indiana Jones and Star Wars games. 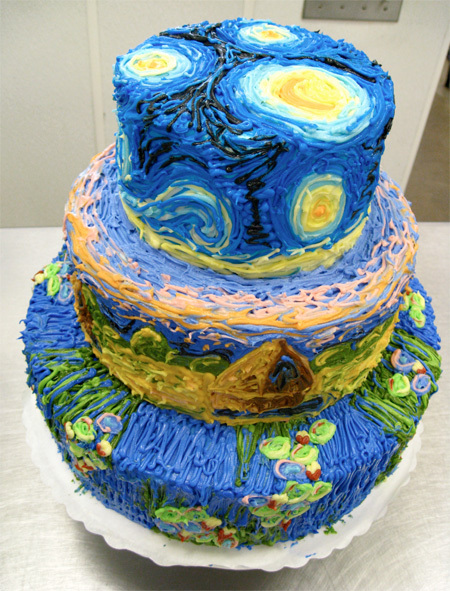 Unusual cake inspired by Vincent van Gogh’s Starry Night painting. 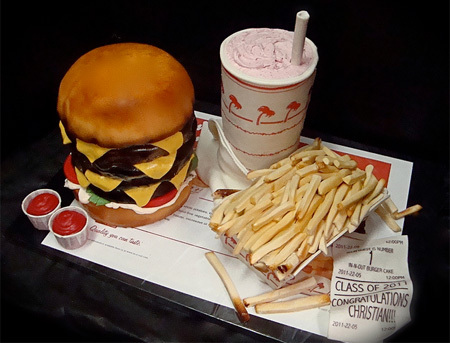 Burger, strawberry shake, and fries cake made by Debbie Goard. 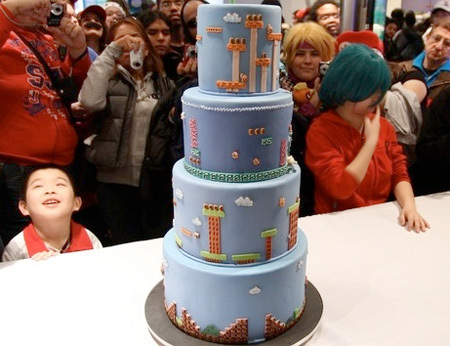 Awesome cake made for the 25th anniversary of Super Mario Bros. Vanilla cake filled with mixed berry jam and marshmallow buttercream. 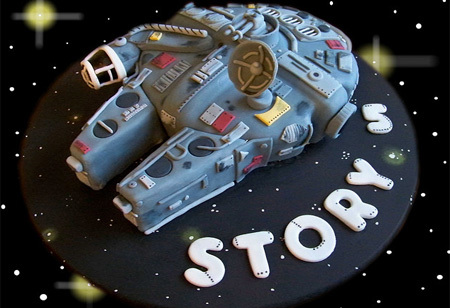 Star Wars Millennium Falcon cake made by Giovanni Ozuna. 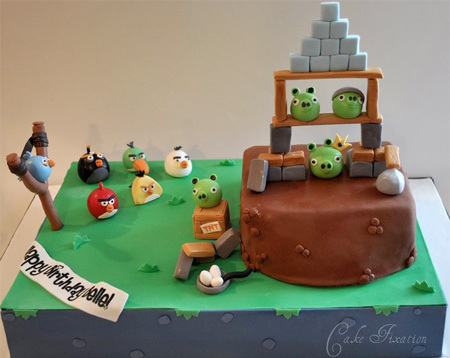 Unique Angry birds inspired birthday cake made by Cake Fixation. 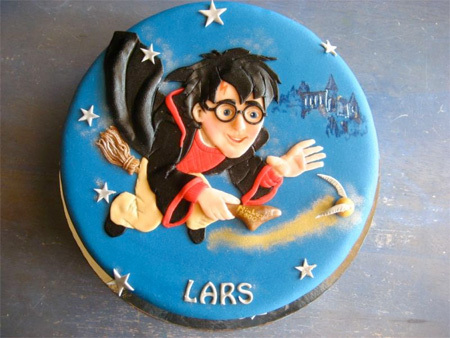 Amazing birthday cake inspired by Harry Potter novels and movies. Unique cake made with buttercream, fondant, and white chocolate. 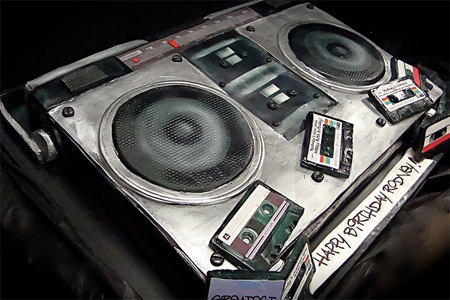 Cool boombox shaped birthday cake created by Debbie Goard. 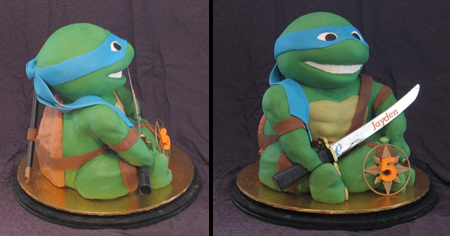 Amazing Teenage Mutant Ninja Turtles themed birthday cake. 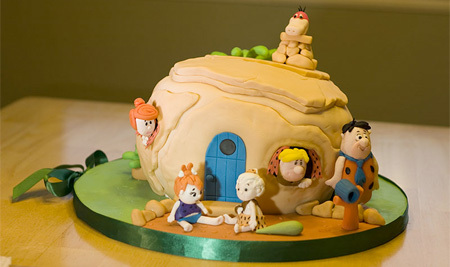 Creative birthday cake inspired by The Flintstones animated show. I love them all, but my favourite is the Starry Night cake! And yes, the baby cake is just too disturbing – it’s incredibly well made and I totally understand why they cut it facing away from them! Starry Night cake is AWESOME!!!!!! The baby cake is sooooooo lifelike. I like cake but i could never eat that. That baby cake looks pretty grotesque…and cutting it more so. Beautiful cakes, can I have a bite? 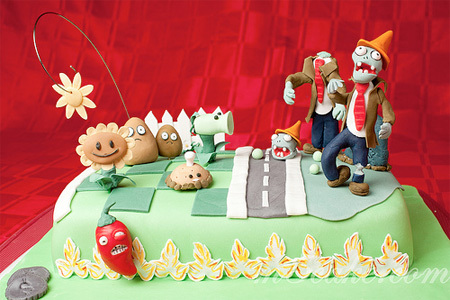 My favorite is the Plants vs. Zombies Cake! love the boombox…heck yeah i’d eat that baby! 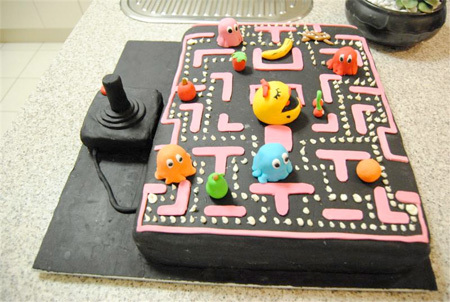 WOW far to good to eat, I like the angry birds best I think. the baby cake is SCARY!!! cakes looked so amazing! I wish i had that talent! i bet they were delicous!